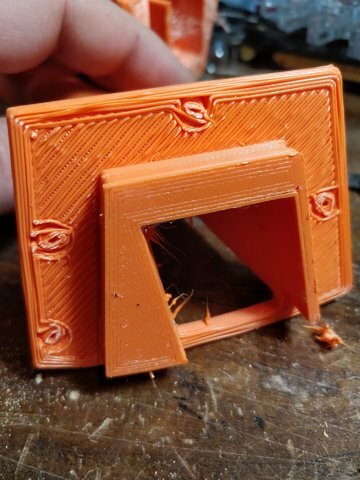 I am trying to improve the quality of a flange that is printed over support. It has a 1/8" hole in it for a screw, and the holes are printed first above the support, causing them to be out of round, and much smaller. I set the overhang speed to 10%, but that did not change the behavior.